Stir in flour and cook until blended. Add paprika and bay leaf. 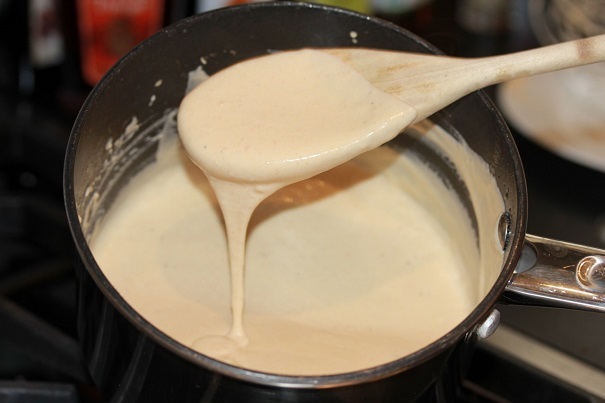 Gradually add the milk, whisking constantly, and add the chicken stock. 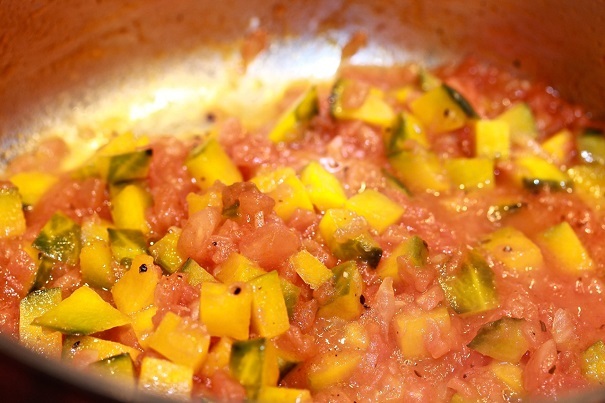 Turn heat to low and whisk until sauce is smooth and thickening, and season with salt and pepper. Simmer for several minutes, and discard the bayleaf. Boil potatoes, unpeeled, until tender. Cool for about 30 minutes or until lukewarm. Remove potato skins and put potatoes in a ricer one at a time, to crush them, and place on a large cutting board. 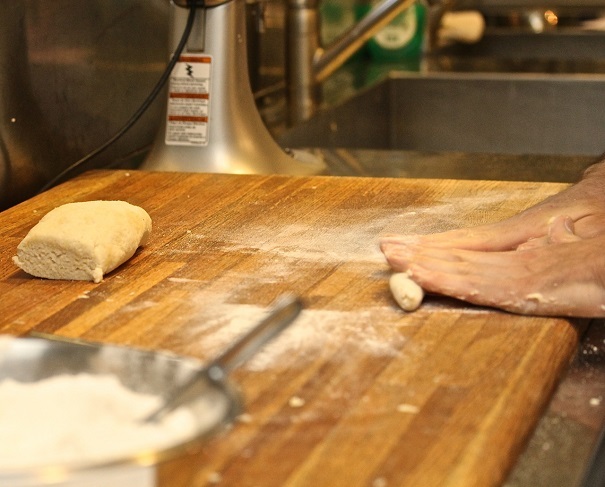 Using your hands, mix the potatoes with the flour, salt and egg yolk, keeping the board dusted with extra flour so the dough doesn’t stick to the board. 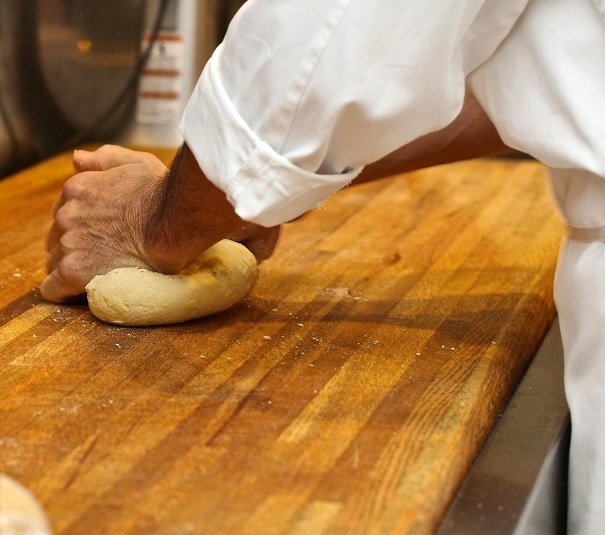 After dough is made, cut into several pieces, and roll each piece out on the flour-dusted board in the shape of a long snake (about 20 inches by one-inch thick). 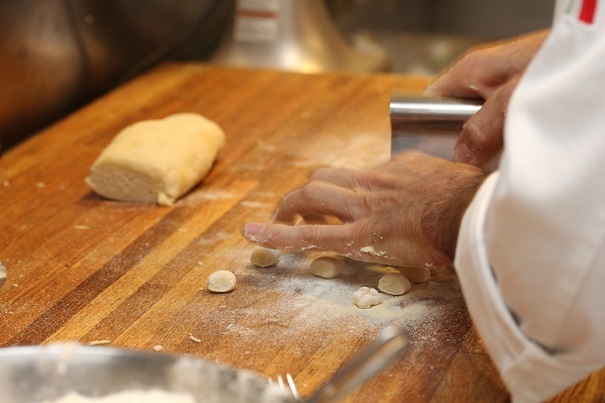 Cut dough in half-inch pieces from the roll, to make the individual gnocchi. Put gnocchi on a dusted tray and don’t allow them to touch each other. Put aside while preparing the sauce. Add the tomatoes, adjust the salt and pepper, and sauté for five minutes until soft. 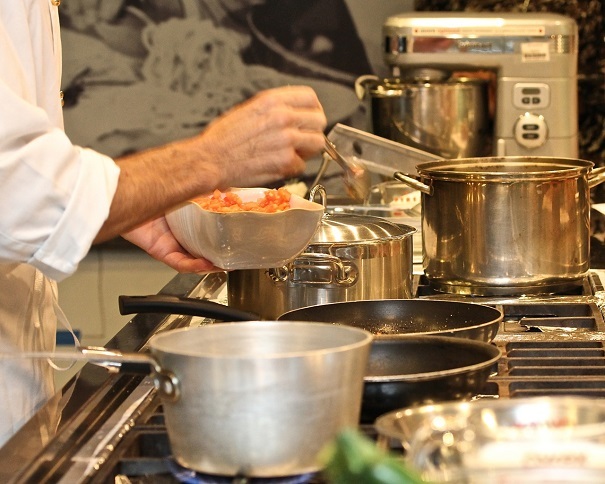 Add 3 ounces of the béchamel sauce and the fresh basil. Bring salted water to a boil in a large pot. 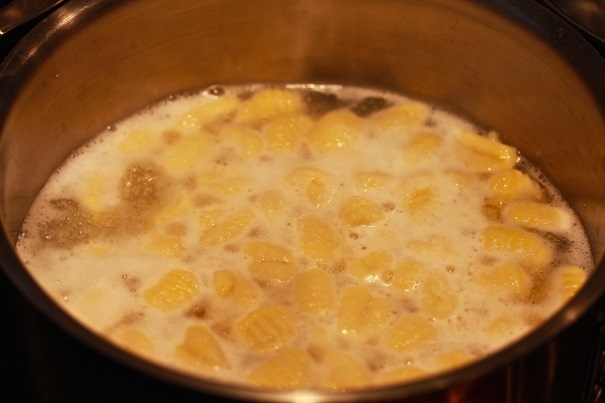 Drop gnocchi in and when they float to the surface (about 4 minutes), remove the gnocchi delicately, using a wire ladle, and put them into the sauce. Sprinkle with fresh chives and parmesan cheese.